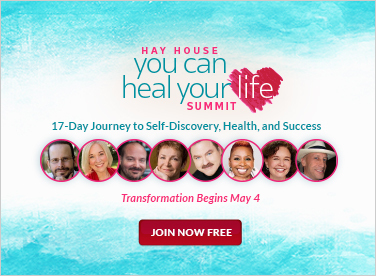 When I was the Event Director for Hay House, I was lucky enough to travel for more than a decade with some of the greatest minds of our time in the fields of self-help, inspiration, motivation and wellness. When my marriage came crashing down, I relied on their teachings to make it through. A couple of them even used me as a spiritual guinea pig, trying out self-empowerment experiments on me. All their attention, love, and wisdom eventually led me to undertake my own journey toward helping others. I immersed myself in my dear friend and mentor Debbie Ford’s shadow work and eventually became a Certified Integrative Coach. I wrote my first book, Writing For My Life—a compilation of poetry, a kind of poetic memoir—as I was leaving my marriage and finding my own voice. I started speaking at the Hay House “I Can Do It!” conferences, which has led to many more speaking engagements and opportunities. And I was even able to open my heart and fall in love again. 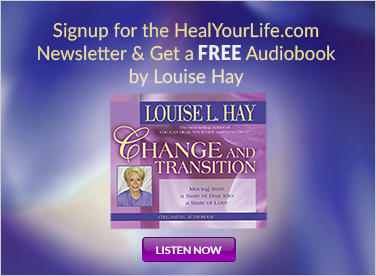 But all of those changes are simply outward signs of a transformation that happened inside of me. Since my divorce, I have become—thankfully—more myself than I ever thought I could be. I have learned who I am when I’m living life for me. I’ve become familiar with the stranger I had been living with for forty-five years: the real Nancy Levin—the woman I’d always been underneath the masks I had been wearing for so long. And you know what? I really, really like her. It became clear through working with my clients in my coaching practice that I had a powerful roadmap others could follow if they adapted my route to their own circumstances. That’s how my book Jump...And Your Life Will Appear was born. What about you? Are you hiding in your life? Have you been called to make changes that you’ve been too afraid to make? Do you have the courage and faith you as you jump into your new and better life? Here is an “inch-by-inch” guide to help you clear the path ahead and move toward letting go and leaping. Step 1: Admit to yourself what you already know. This first step involves some truth-telling.The result is enormously freeing, and it is theprimary stepping-stone to true freedom. Step 2: Tell the truth to someone safe. After your admission to yourself, it will be time to trust someone else with your truth. Step 3: Imagine yourself free. In this step, you will set the stage for freedom by first making it real in your imagination. Step 4: Make one different choice. Starting small as you work toward your jump (I did say “inch-by-inch”), you will do one thing differently. The results from this one small change may surprise you. Step 5: Set your new boundaries. 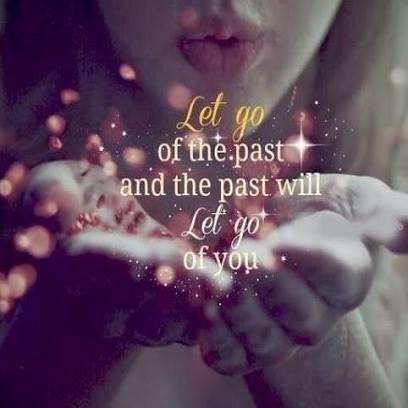 You will begin to set solid boundaries where you have allowed them to be violated in the past. Don’t worry—you’ll be ready for this step by the time you get there. Step 6: Ask for help. During this step, you’ll learn that it’s actually wonderful for both parties when you allow yourself to receive. Step 7: Honor your resistance. As you get primed for your jump, we’ll deal together with the inevitable resistance that will tell you that you cannot, must not, and will not jump. Fear not! You will. Step 8: Jump! By the time you’ve moved through the steps one inch at a time, you’ll be ready to make your jump. This step will help you land on softer clouds. Step 9: The Graceful Exit. Too often, books stop at the point when you’re asked to change, not helping you deal with the aftermath. Once you have jumped, there will still be resistance, adjustment, and integration. This step will help you make a smoother transition. Step 10: Say Yes … And Then Say It Again …And Again. The final step is all about living your new, best life after the jump.